Last night I spend an emotional couple of hours watching Willy Russell’s Blood Brothers National Tour at the Palace Theatre in Manchester. 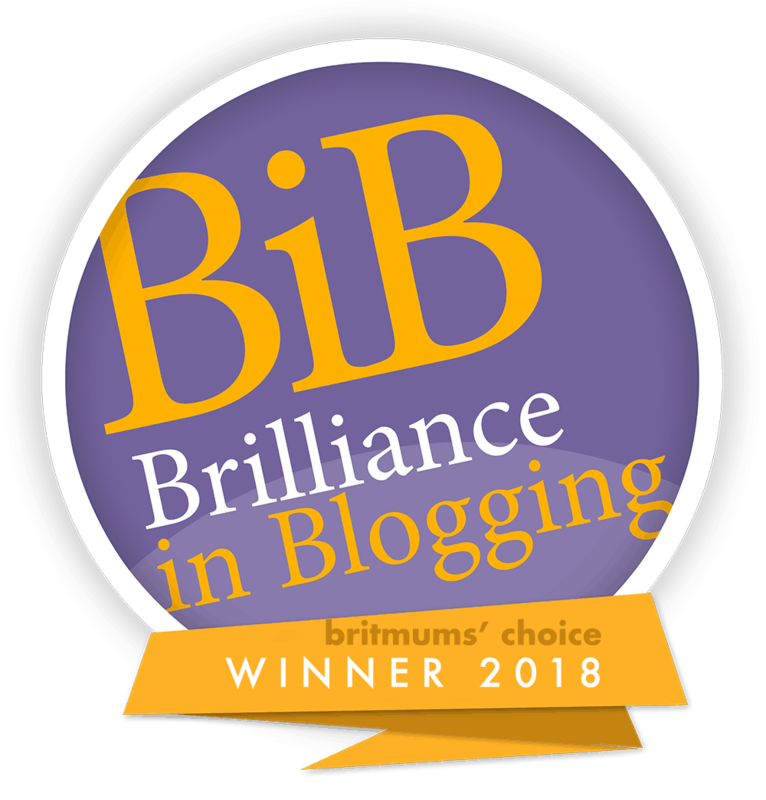 Blood Brothers shows the reality of the different of opportunities children get growing up in differing social situations. The incredible cast makes the end scene so much harder to watch. Blood Bothers was a tale I was aware of, but not fully. In fact the version in my mind was a million miles away from the actual story. Set in Liverpool this epic tale tells the story of how working class mum, Mrs Johnstone (Lyn Paul) agrees under duress and a terrible set of circumstances to give one of her twin boys to middle class mother Mrs Lyons (Sarah Jane Buckley) who is unable to have child herself. The twins Mickey (Sean Jones) and Eddie (Mark Hutchinson) grow up with completely different lives. One of struggle and poverty and one of wealth and privilege, despite the separation they find each other and much to the horror of their parents become best friends, something they seal with blood as they become Blood Brothers. It’s a gritty portrayal of working class life and families who are doing their best. Parents working their hardest to give their families the best they can, of kids playing in the streets growing up happy but blissfully unaware of the hardships ahead of them. And of professional families wanting to wrap their children up and protect them from the world possibly to their detriment, having the luxury of time to spend with their children to nurture and give them what they want and need. Being able to offer them opportunities that will serve them well in later life. Showing that class and circumstance does not matter to children, but how adulthood and the reality of life make those differences vast. How the limited opportunities available to some children have such a huge impact in the choices they make as they grow up. Seeing that portrayed in such a way was a bitter pill to swallow. The set is simple; it is effective and does the job in a clever way that draws all the scenes together. But for the cast there is no grand production to hide behind, it is all about them. And my goodness I don’t think I have ever seen a cast with such amazing chemistry. They worked as one, making the tale so believable, and as the Narrator (Mathew Craig) ties the tale together you cannot take you eyes of the stage. 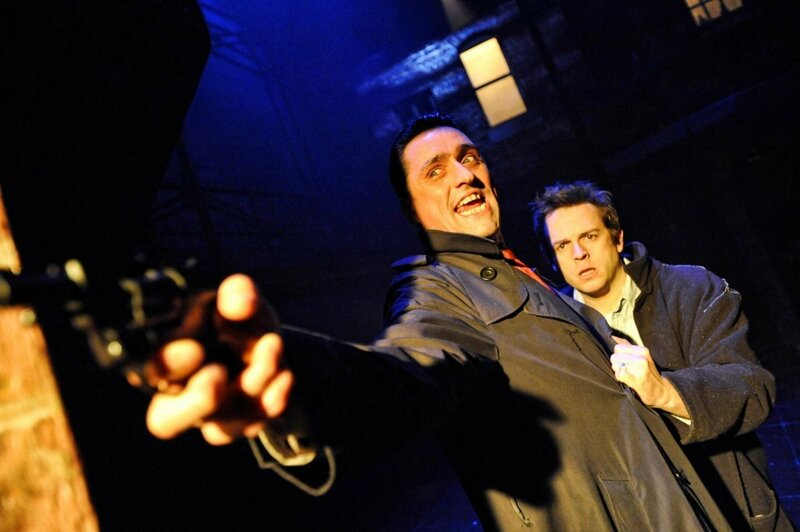 Blood Brothers is not fast-moving, it has a relaxed pace, a pace that has you understanding and savouring every single act. Feeling the story to your very core. I have never experienced a production where adults play children alongside adults playing adults. How can that work? But my god it does and the cast were faultless, I found myself forgetting they were not actual children. Laughing huge belly laughs of the antics of Mickey, Eddie, Linda, Sammy, Donna Marie and the rest of the kids. They made the characters funny, adorable and real. Ok we know I am a crier, but I felt the end in my heart, I can’t stop thinking about of the hard life story Blood Brother tells. Its portrayed in the most beautiful way, but it’s heart-breaking and a must see show. Blood Brothers should not be a GCSE option, it should be compulsory and had me leaving the theatre in floods of tears wanting to study English literature all over again and actually take notice this time round. So, to the cast that took me on this incredible journey, thank you, you made me laugh, broke my heart and taught me lessons about society I never though I would learn at 45. 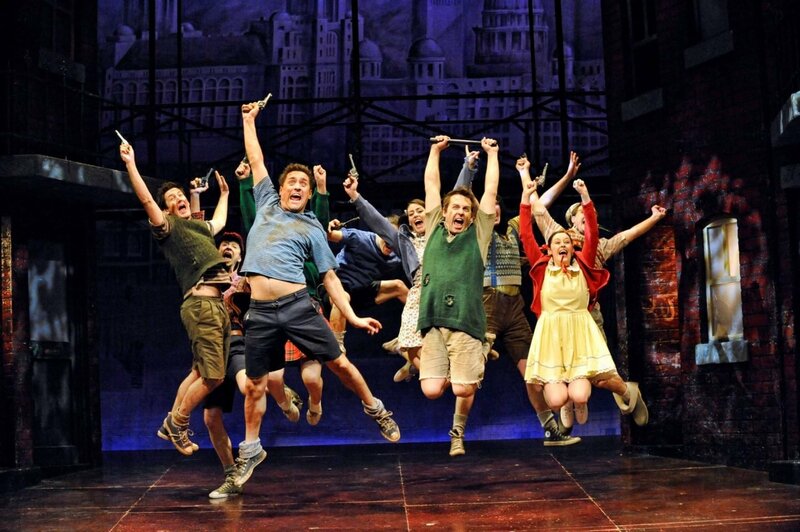 You can catch Blood Brothers at the Palace Theatre until 26th May. 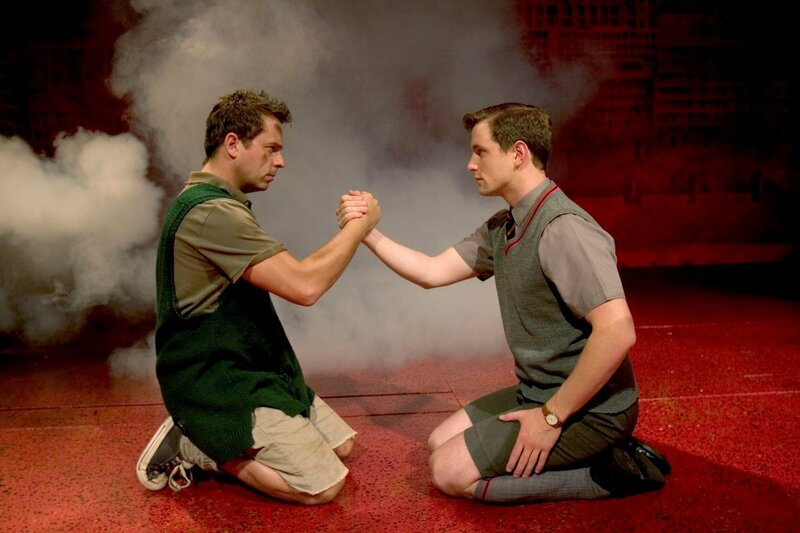 Blood Brothers was the first musical I ever saw, in Manchester with my Mum. I remember being absolutely enthralled, and I’ve seen it again since. I’m in floods the minutes she starts singing “Tell me it’s not true…!” In fact I only have to hear it on a CD track to start wobbling 🙂 Brilliant show!